One way to cut corners in expenditures is to simply find a white gown that will double as your wedding dress. 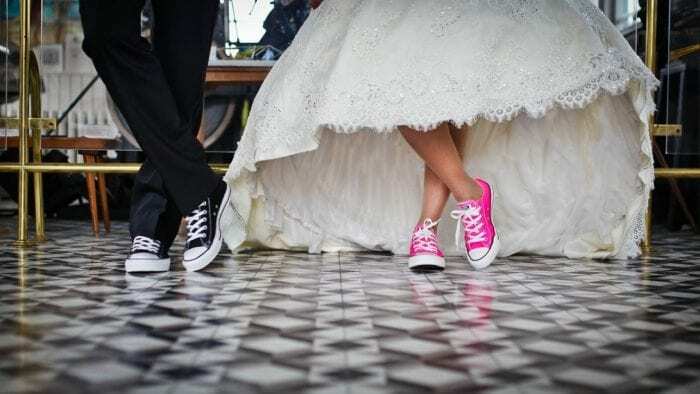 Especially if you’re having a more casual laid-back wedding at a beach or garden, many bridesmaid dresses or cream special occasion dresses will pass with flying colors. Opting for a more relaxed look will save you the trouble too of figuring out your size in numbers (0 or 2? 8 or 10? ), and you can shop online with a relative guarantee a “Small” will fit just fine. Nobody will be able to tell the dress wasn’t “meant” to be a wedding dress, as long as you’re rocking the look with style. Even if you’re getting married during wedding peak season, being strategic about when to put dress shopping on your planning timeline can make all the difference. 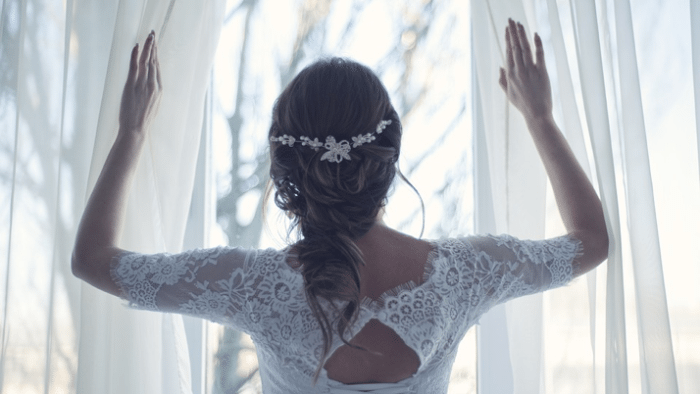 Typically, bridal retailers want to clear out their inventory in winter and summer to prepare for the next batch of dresses, so keep open eyes for big sales then. Alterations are half the battle with getting that just-perfect wedding dress (the only thing guaranteed to be featured in all of your pictures). It can be frustrating to figure out if you’re a “true to size” size 6, or if you’re top heavy with a slim waist (or the opposite! ), and going back to the tailor after every tuck to find that happy equilibrium can be exhausting. 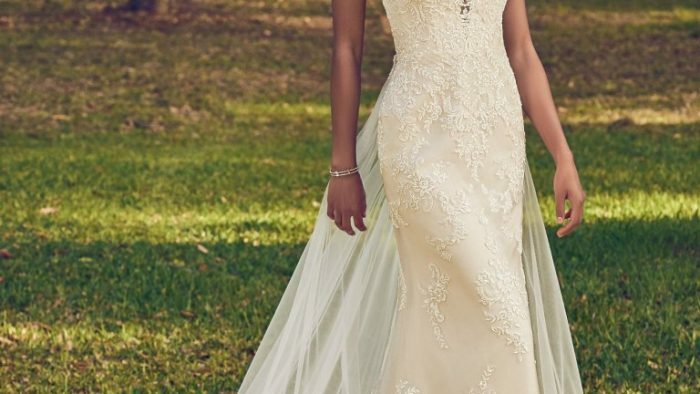 Getting a made-to-measure dress may be worth the investment, and end up saving you money down the line—some even let you customize down to a T, including the type of lace and buttons you want down the back. With wedding dresses ranging from a grandmother’s repurposed original to elaborate princess gowns, the white wonders can be anything you dream, and in fact, not white (or new) at all! Plenty of off-runway designers will offer beaded, romantic ensembles or that hipster-chic satin you’ve been eyeing at another catwalk—so keep your mind (and web browsers) open to find look-alikes at comparable stores, or pre-owned dresses in good condition. But when a girl’s just got to splurge on that dream Vivienne Westwood, trunk shows are the way to go. Pencil in the local trunk shows (or tow along your bridesmaids and make a mini road trip out of one!) for the upcoming months by looking them up on designers’ websites—many will have a section dedicated to their next pop-ups. 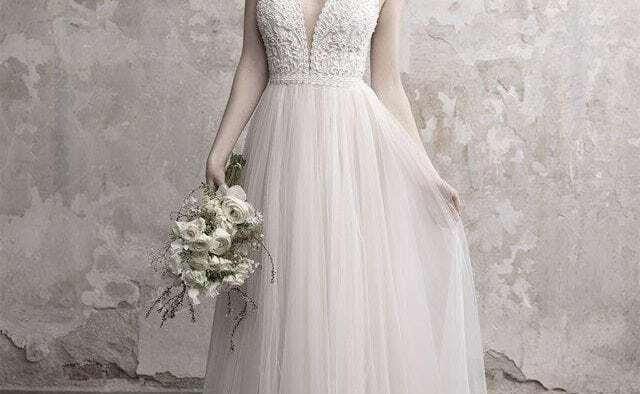 Trunk shows are an often-overlooked chance to see the latest collection runway collection (which might not be available yet online or in-store), and many will offer a day-of discount or throw in perks like waiving rush shipping, and adding in gown customizations with the order. The good news is that there are plenty of great options for rocking that aisle without breaking the bank. Simply keep the above tips in mind as you search for, and say “I do” to, the perfect dress.